For those who have ever special ordered a vehicle, taking delivery is arguably one of the most exciting feelings in the world. 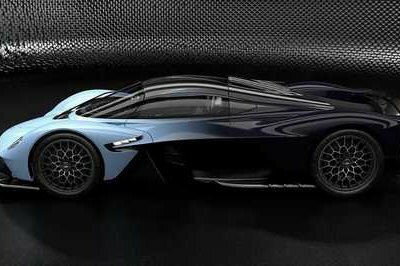 Now, imagine if the car you’re taking delivery of has 1,500 horsepower at its disposal, is limited to just 500 units, and has a price tag that exceeds $3 million. I can’t pretend to know what that feeling’s like, but I do realize the magnitude of seeing a Bugatti Chiron in the flesh for the first time, even if it’s not mine. 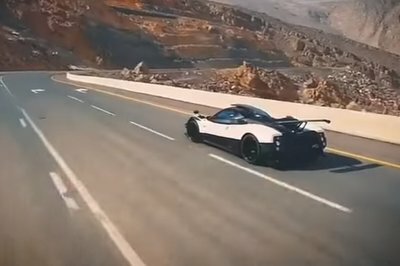 Judging from the smile on his face and the giddiness on his step, YouTuber TheStradman had a similar reaction when he captured the first U.S.-spec Chiron get delivered to its dealership, O’Gara Coach in La Jolla, California. The car’s owner – a man named “Hezi” – who also happens to be the same guy who took delivery of the first U.S.-spec Lamborghini Centenario. Not that it’s making me any less jealous, but seeing the process by which the Chiron is delivered and the specific inspections that go on after it provides a good insight on how meticulous the whole thing is. To his credit, TheStradman does a good job of setting the table up, documenting the whole process from the time the car arrives through a massive delivery truck all the way to the actual inspections that go on in ensuring that every available space of the Chiron is built up to Bugatti’s standards. We already know, somewhat at least, that the man who owns this Bugatti Chiron is called “Hezi.” We also know that the Chiron was in attendance at the Pebble Beach Concours d’Elegance. It’s also one of just 500 models although what was a bit surprising was when TheStradman showed its numbered plaque, it read “1 of 500,” which basically means that this particular example of the Chiron is actually the first production car. 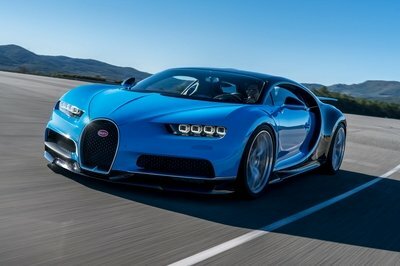 This is a big deal because premium cars like the Chiron with a “001” VIN fetch way more than their contemporaries all because it was the first of its kind to roll out of Bugatti’s factory. Kind of makes it seems like its $3 million price tag – before options – is a bargain at this point. 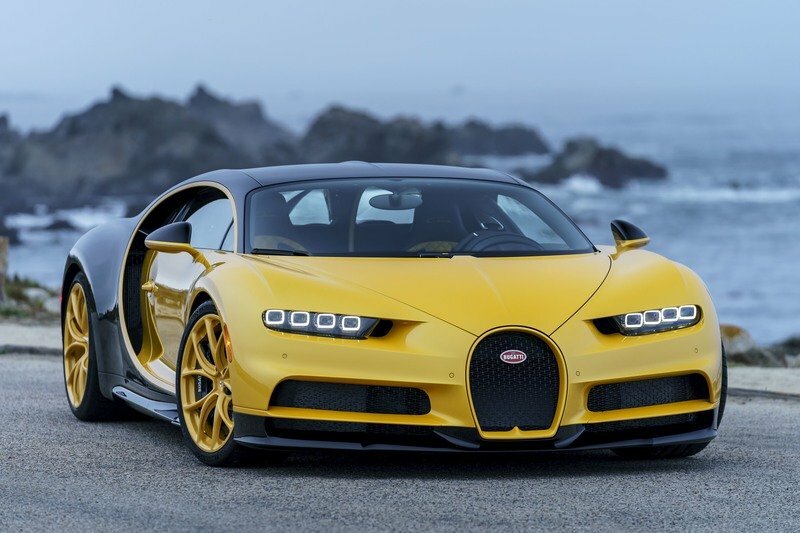 The Chiron’s yellow and black look is also a definite eye-catcher that should draw comparisons to everybody’s favorite Autobot. 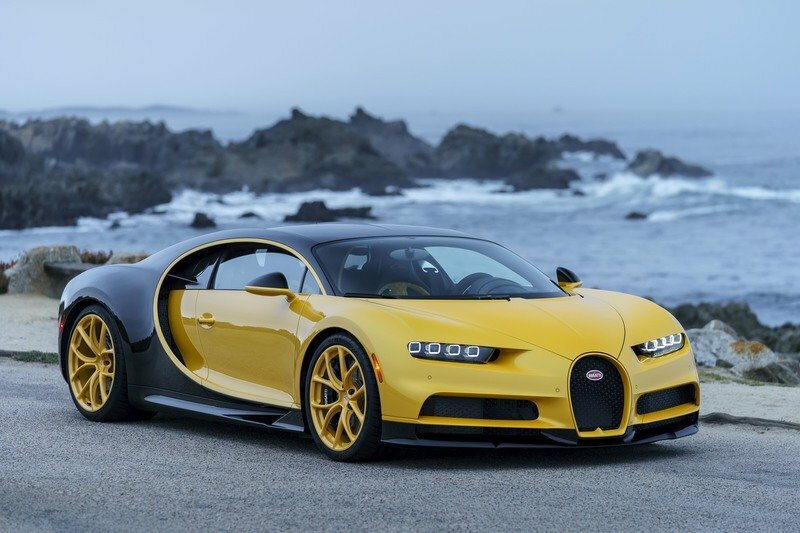 The Chiron’s yellow and black look is also a definite eye-catcher that should draw comparisons to everybody’s favorite Autobot. 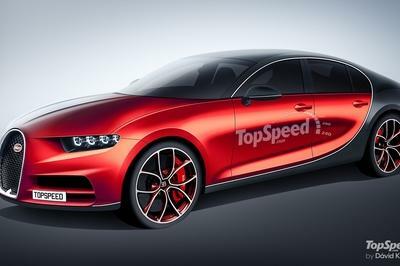 How long then before it’s given the nickname “Chiron-Bee”? To be more specific though, the front section is finished in bright yellow and the rear section sporting Bugatti’s unique black “Nocturne” paint finish. Yellow trim is also prominently used on the body of the car, specifically the circular side lines, the horseshoe emblem, and even the set of “Classique” wheels. Every surface of the cabin is finished in either leather or carbon fiber. Move to the interior and you’ll see more of the same two-tone treatment. Every surface of the cabin is finished in either leather or carbon fiber. 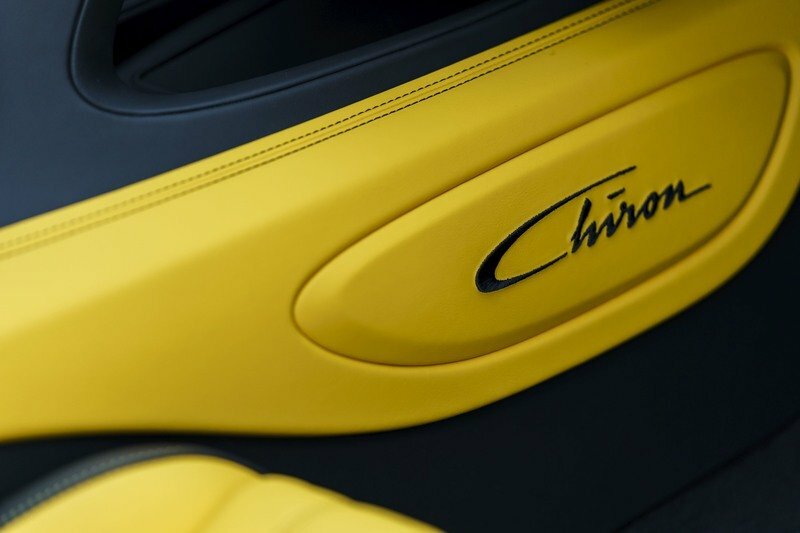 Beluga Black leather is the prominent material of choice while yellow leather, in particular, is seen on the door trims, the insides of the seats, the armrest on the center console, and the dividing line that also happens to be illuminated. As far as exclusivity is concerned, this example of the Bugatti Chiron justifies its status as one of the finest ones we’ve seen. I do think that other models will be exclusive in their own terms, though seeing this one go through the whole process of delivery and inspection gives it a sentimental value of its own. That and, well, it’s a Bugatti Chiron. 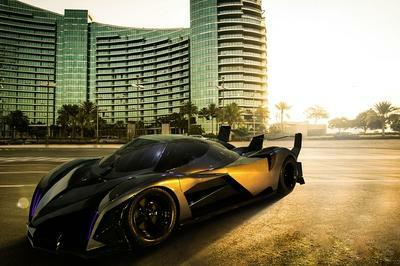 That’s more than enough to make it one of the most desirable cars in the world, $3 million price tag notwithstanding. The Pebble Beach Concours d’Elegance 2017 offers the ideal backdrop for the delivery of the first Bugatti Chiron1 to a customer in the US. Following Europe, North America is the second most important sales market for the luxury brand from Molsheim. 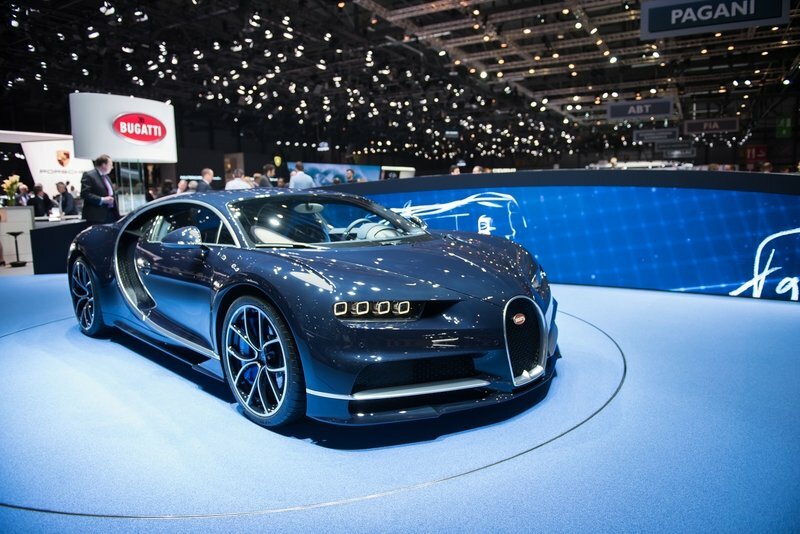 Almost 30 percent of all the orders received for the Bugatti Chiron come from this region. The price in the US market is US$2.998 million including shipping, duties, taxes and charges. 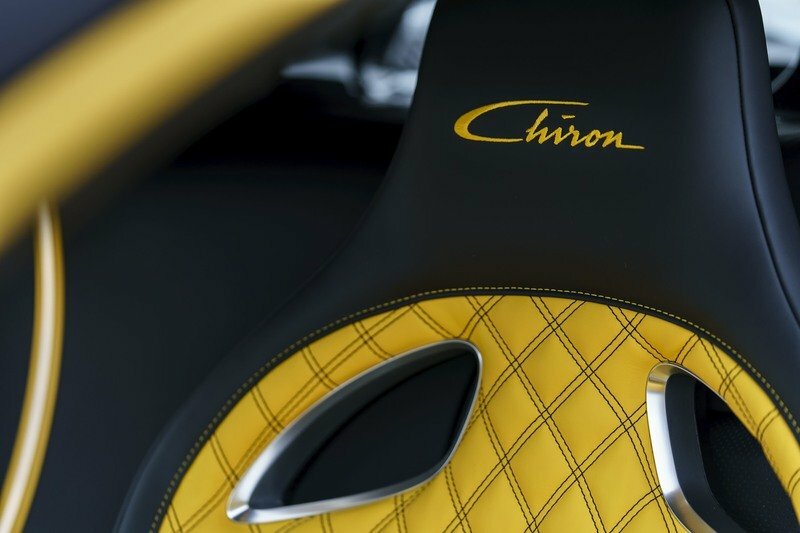 The Chiron series is limited to 500 vehicles. More than half of the total series has already been sold throughout the world. 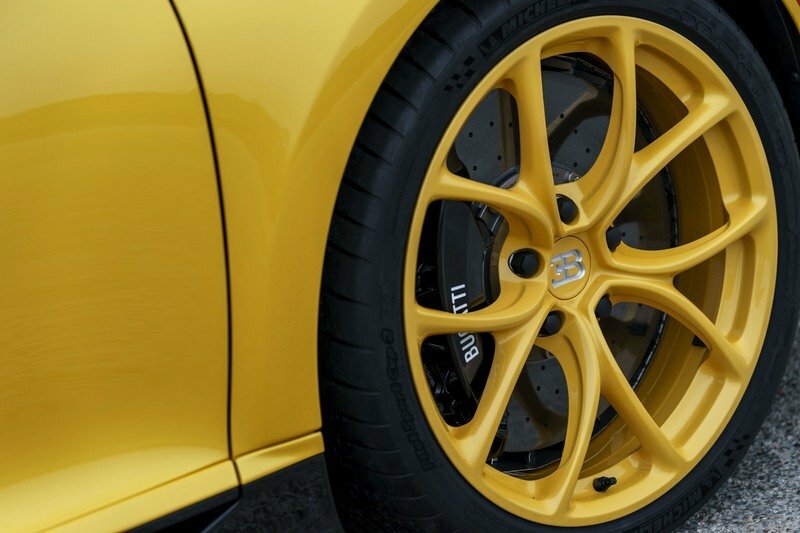 The first US Chiron is a real eyecatcher with its yellow and black colour scheme. The front of the vehicle is patented in bright yellow and the rear in black “Nocturne”. 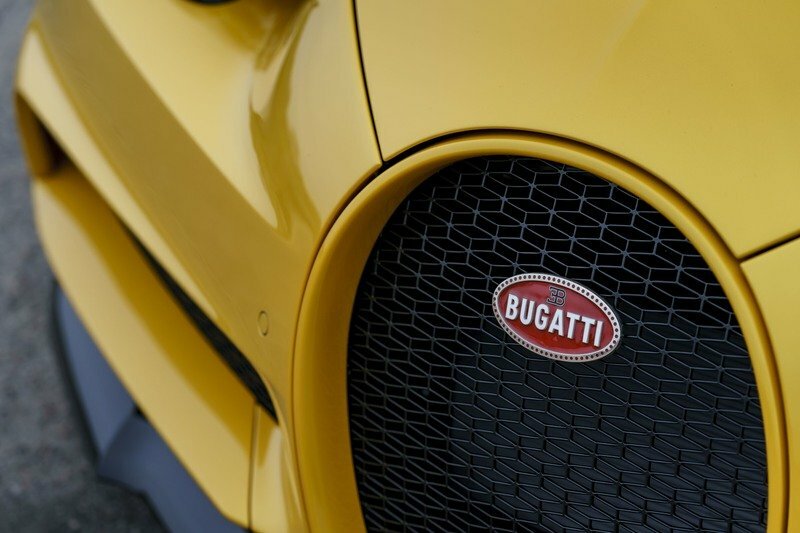 The “Classique” wheels, the Bugatti horseshoe emblem and the trim part of the prominent side line are also painted yellow. The distinctive two-tone colour scheme is continued by the full leather equipment of the interior. Yellow leather is used on the insides of the seats, the armrest on the centre console, the door trims and the C-shaped dividing line in the passenger compartment in contrast to the rest of the interior, which features “Beluga Black” leather.